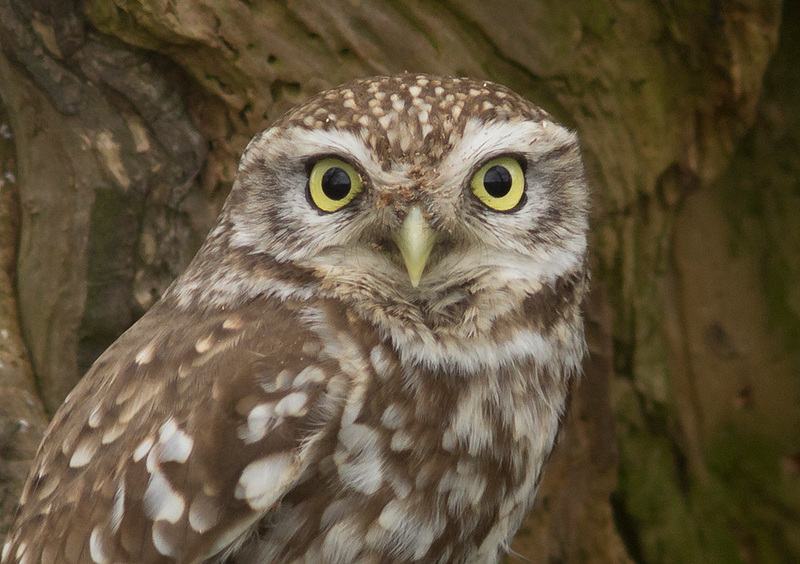 The Little Owl is a curiosity among our birds. It is not a native, but was introduced in the late 19th Century and is now well established (with jsut under 6,000 pairs), mainly in England. yet, unlike most other introduced birds it is neither a 'game' species, nor despised as an alien. 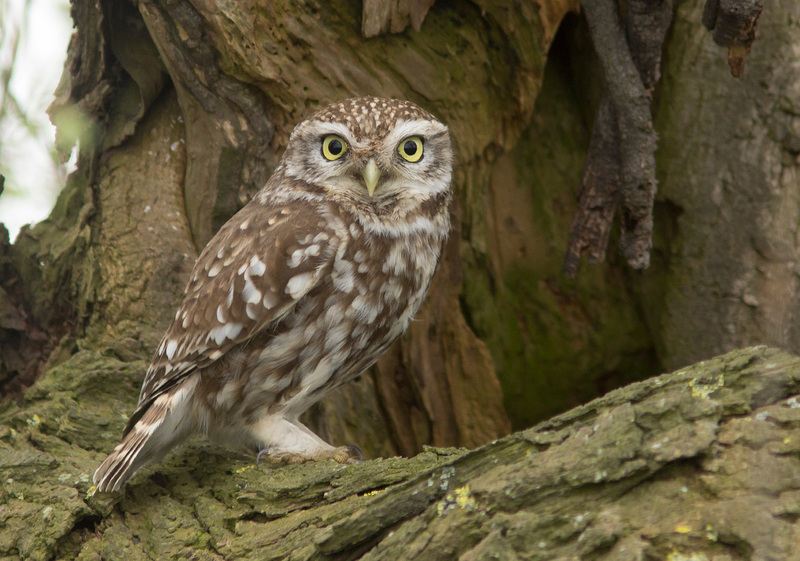 Little Owls are popular birds! We do OK for them around Peterborough, with a decent smattering around the PBC area (I seem to remember reading that the Oundle area, west of Peterborough, was one of the areas of first successful introduction), but they can be a tad elusive (they are small, partly nocturnal and hide in holes in trees). This bird suddenly appeared unexpectedly while I was turning the car around near the viewing area for the Thorney Toll Rough-legged Buzzard (which I didn't see). Then it posed in a big gnarly old willow by the side of the road, allowing me to whizz off a few shots before whizzing off itself. I think it is the closest I have photographed a Little Owl.